Some people are pondering their fate after December 21, while others are just enjoying the show. (CNN) -- If you've got dinner reservations for December 22, there's probably no point in changing them on account of an apocalyptic prophecy. December 21, 2012, is the endpoint of the 5,126-year Great Cycle marked on the Mayan people's "Long Count" calendar. Some say that could be the end of everything. Or not. We've noticed a few sarcastic story comments, but some readers seem fascinated. The apocalypse has left cultural footprints. "Doomsday Preppers" is a popular, if somewhat controversial, TV program detailing how people are preparing for the possibility of disaster on the National Geographic Channel. 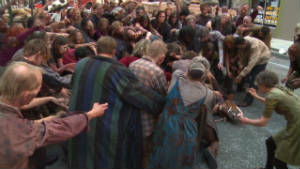 TNT's "Falling Skies" and NBC's "Revolution" are fictional depictions of apocalyptic scenarios. For those more interested in a zombie apocalypse, "The Walking Dead" is shambling on AMC. "The Hunger Games" book trilogy and movie series features a post-apocalyptic, dystopian society broken up into districts and a wealthy capital. The government forces children to fight to the death each year. What scares the 'The Walking Dead' cast? But it was the 2009 film simply titled "2012" that helped introduce the masses to the swirl around the Mayan calendar. The three-year storyline takes viewers through apocalyptic staples including solar flares, cataclysmic storms, tectonic distress, mass panic and terrorism. Interestingly, Google Trends graphs show 2009 marking a turning point when Web searches for "apocalypse" started to gradually rise. The brief spike back in 2004 seems to be related to searches for the film "Resident Evil: Apocalypse." Of course, the word "zombies" tops the apocalypse-oriented terms, while "end of the world" brings high peaks that meet up with "zombies" before dropping into deep valleys. "Doomsday" looks less popular. Social media mentions of the word "apocalypse" are much harder to track, but Twitter posts appear to follow comparable trend lines both in the past month and since July 2010, as visualized with analytics site Topsy. The apocalypse obsession seems palpable, but we wanted to know why. As we took a deeper look, we came up with five themes that seem to explain it. It's the recession, right? Maybe. Robb Willer, an associate professor of sociology at University of California, Berkeley, studies political and religious psychology. He says the economy might be a factor, but other reasons include the rise of evangelical Christianity in the past 20 years. Christian preacher Harold Camping predicted a Judgment Day on May 21, 2011, and also made a similar prediction in 1994. The "Left Behind" series of books bolstered the concept of a Second Coming. People have been debating prophecies for a long time. The debunking research in "When Prophecy Fails" was published in 1956, and Stephen King put out his apocalyptic novel "The Stand" in 1978. Willer says he's been thinking a lot about the feeling of powerlessness that we get in the face of something undeniably powerful. Some would use the word "awe" to describe the sensation, and it affects how we view the world. Apocalyptic prophecy behavior is puzzling at first glance because people tend to be optimistic, rather than pessimistic, Willer says. (See also: Powerball jackpot.) The people who believe in the prophecies, he explains, aren't crazy. They just "need some kind of source for the apocalyptic prophecy that they believe is credible," be it a Mayan calendar or the predictions of Nostradamus. Willer listed superstitions and astrology as examples of common nonscientific beliefs. A compelling narrative sometimes comes along with it. Jerry Piven, a researcher who has studied psychoanalytic epistemology and wrote a book on the psychological undercurrents of terror and apocalypse, says he feels an apocalypse almost embeds a tale of fantasy into reality and provides safe theater for exploring death. He says a student once asked him if it was OK that he enjoyed using a Dungeons & Dragons character who is a "priest of apocalyptic power." "I asked if he believed that the world was truly so vile that he would really destroy it with the apocalyptic powers of his dark deities," Piven explained. "Well of course, he did not." 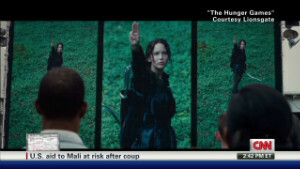 Willer said the apocalypse can be a spectator sport and a reality show for some people. 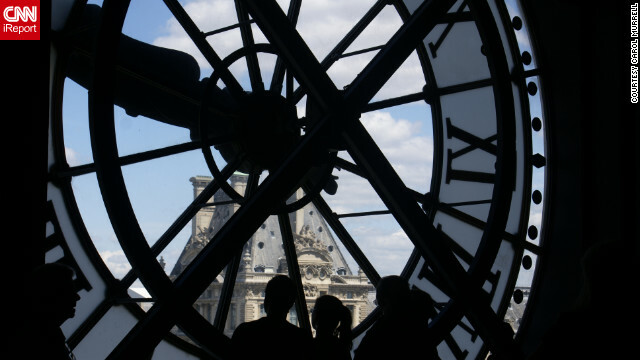 "It could be that a lot of interest in apocalyptic prophecy comes as much from people being ironically entertained by a few people believing in it as actually believing that the world will end," he noted. There's nothing like a viral hoax to get people talking. We saw it right here on CNN iReport. An unvetted iReport post about the "Nibiru" asteroid garnered so much traction -- more than 90,000 page views and 10,000 Facebook recommends -- that NASA created an account on CNN iReport and posted comments to help debunk the doomsday text. This post and others like it allege that an asteroid is approaching Earth, which is pretty scary to think about. Even worse, NASA is said to be keeping this information under wraps so as not to incite panic. But the hoax notes that the news release is coming soon, so get ready. For the most part, our community hasn't been believing the Nibiru claims, although there were comments on the original iReport that were supporting the idea of a NASA cover-up. There seemed to be as many people trying to debunk the post as there were people who were afraid of total destruction. "There's always someone ready to buy into the latest doomsday story," commented iReporter Mark Ivy of Farmersburg, Indiana. "For some, the titillation of it all is too much to resist." 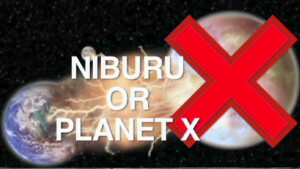 Things you might say if you flunked Astro101: "Planet Niburu is real and is headed toward Earth." NASA posted a page on their website devoted to the Nibiru buzz and other such theories. The common theme among the stories is they involve a force so strong that it could affect our entire world. At the same time, there are people who say the world probably isn't ending, but they aren't leaving their lives to chance. The door chime at a San Diego military surplus store called Bargain Center seems to ring steadily throughout the day, and profits are noticeably up. The store is a popular place to buy survival goods, even though they only make up about a 10th of the store's selection. Some customers specifically mention December 21 when they come in, says owner Joel Dreifuss. He feels that he's been selling about 50% more survival-oriented items during the past six to eight weeks. MREs, water purification systems and storage supplies are the most popular items, as well as getaway backpacks and emergency supplies. Dreifuss says many of them are adding to their existing supplies of survival gear, just in case they need to be ready for trouble. Many of these people are self-described "preppers," a community of people who value preparations for life-altering events. "It doesn't hurt to be prepared for three or four days of not having anything, no electricity or heat," Dreifuss said. He says he's rung up a few more gas masks than usual, but the numbers aren't extreme. Bad things do happen, and there's plenty of media to cover it, which Dreifuss theorizes might be contributing to apocalypse fever; and if desperation trumps decorum, humans may be feared as much as the forces of nature. He talked about 1992's riots in Los Angeles and desperation in the aftermath of a severe storm. He shuddered at the thought of Black Fridays. "They're animals, and that's over a $199 TV," he said of holiday shoppers. "Can you imagine if it's cold and they're hungry and the power's out?" There's a popular reverse acronym among the "prepper" community that goes right along with a famous R.E.M. song that is topping apocalyptic playlists everywhere: TEOTWAWKI, or "the end of the world as we know it." That, along with SHTF, or "s--- hits the fan," are emblematic of prepper philosophy. "Anything that could or would change your life as you now know it" qualifies, says a blogger and Twitter user known as Survivor Jane. One might go through a natural disaster or lose their home or job. Survivor Jane is a well-respected prepper who started a blog in 2008 to provide a place for women to explore their ideas about making disaster preparations. She says she created the #preppertalk hashtag on Twitter in August 2012, which allowed her to exchange knowledge with others more easily. Her following attracted National Geographic's attention, and she has participated in some "Doomsday Preppers" tweeting sessions. "I am more about taking accountability for myself and being self-reliant," she said. "If that means extra food, water, shelter and a means to protect myself is a bad thing, so be it. I don't want anyone to suffer like the victims of Sandy did, some needlessly." She says she receives more inquiries about staying safe from natural disasters than about the annihilation of humanity. "A lot (of questions) are coming from people wanting to know how to better prepare for a storm like Sandy," she explains. "But then again with the 'end of the world' looming, people are seeking its validity and how to prepare for it." Something to keep in mind: "If the world is going to end," she adds, "There's no need to prepare for anything because we'll all be gone." For Chicago-area author Alex Newton, there is a scale of disaster intensity that starts with house fires and flash floods and ends with a global pandemic or, if you're really unlucky, a zombie apocalypse. The last item is a joke from his book, "Plan and Prep: Surviving the Zombie Apocalypse." Newton, known as @ZombieApocGuy on Twitter, specifically chose zombies as a metaphor for everything that can possibly go wrong. Whereas some people might admire the special powers of a vampire or werewolf, zombies are the "ultimate predator" because "they just don't stop. They just keep killing." The September 11, 2001, terror attacks inspired Newton's interest in prepping. He recalls feeling stranded for hours and unable to get in touch with his family. He vowed to never again be caught off guard and put his military experience to use. He recommends getting started by assessing the real dangers in one's geographic area, such as blizzards or earthquakes. One might make a "bug-out bag" for a quick egress or stash extra supplies. Newton's concern is being ready to survive, rather than the "end of the world" or doomsday prophecies. "What the Mayans determined back then was amazing," he said. "I just think they didn't get time to finish their calendar." He wonders if those who hope the world will end need a little excitement in their lives or secretly want society to start over. "There's a lot of benefit that may come for some if the world ends, unfortunately, and some people look forward to that," Newton said. Newton is optimistic that he'll live to see his next "Plan and Prep" book come out. But there are also those who are concerned. What about you? Whether or not you plan on still existing come January, we'd like to hear your perspective. If you think the apocalypse could happen, tell us what you plan on doing between now and The End. Are you making any preparations of any kind? Even if you don't believe in it, we'd still like to hear how you'd theoretically spend your last days on Earth or how you'll be celebrating come December 22. There's not much time to share your thoughts. Post a comment below or sound off on video via CNN iReport.